Gracia Purpura exemplifies this approach with minimal but lyrical lines forming mountains, bands of cool blues and ripple-like lines conjuring up the Jordan river. 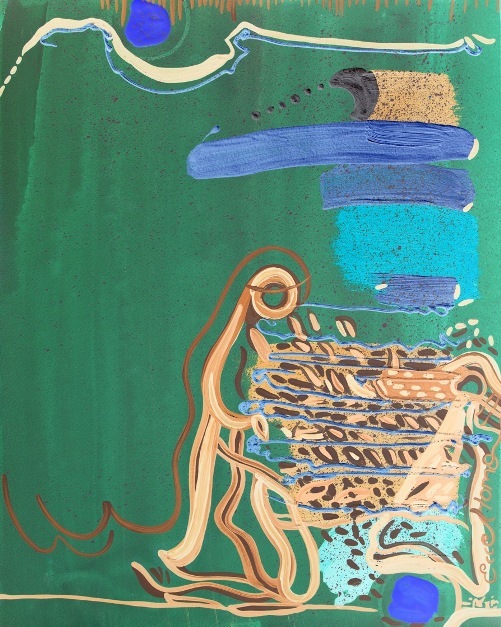 These lines and bands of colour coalesce around the central figure, highlighted on verdant green. We are invited to behold him as central to this image, as he is – as the voice from heaven states – God's beloved son, who is at the centre of salvation history. In a Christian context such an approach of risk, adventure and spontaneity can be described as an experience of the Holy Spirit inspiring or coming on the artist. Certainly that has been my experience both in creating and preaching. I will often reflect or meditate on an experience, a song, an image or Bible passage by carrying it around in my mind over several days or weeks. When I live with it for a period of time I find that, at some unexpected moment, a new thought or idea or image will come to me that makes sense or takes forward that on which I had been reflecting. To my mind that is the Spirit coming and making connections, bringing clarity, making sense. MIA’s work has connected with traditional religious iconography, although not with traditional outcomes. 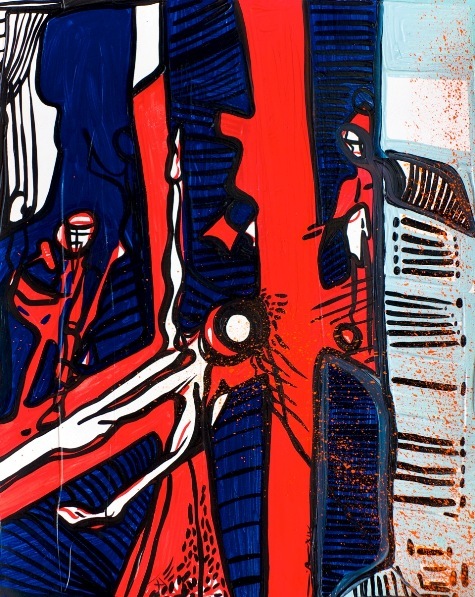 Her ‘Via Crucis’, ‘Via Lucis’ and ‘Via Cordis’ exhibitions have engaged with the imagery of the ‘Stations of the Cross’, the ‘Path of Light’ and, most recently, the ‘Way of the Heart’. Through these series she has reflected on emotions provoked by the Passion of Christ, while seeing that narrative as also representing the different moods of modern man. These are works to contemplate, as through energy of line and brilliance of colour they refresh the soul. • Gracia Purpura, 2014, print on Hahnemuehle paper, framed size 71 x 102 cm. • It was for Us, 2014, oil on paper, framed size 71 x 102 cm. 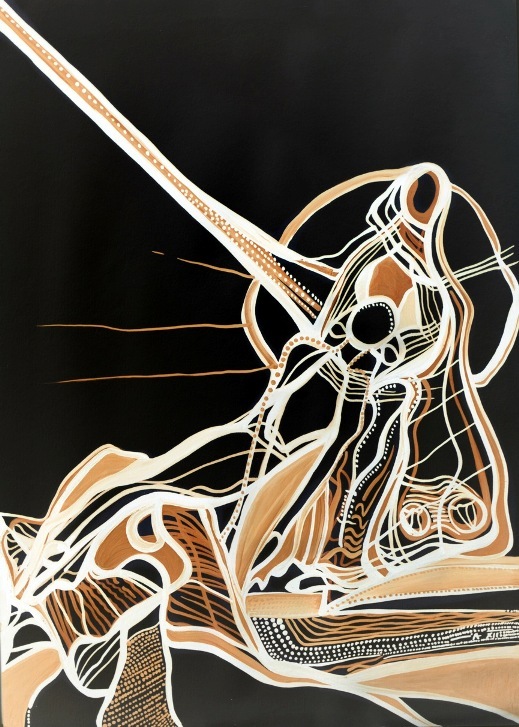 • Pietà, 2014, print on Hahnemuehle paper, framed size 71 x 102 cm. María Inés Aguirre (MIA) was born in Entre Rios, Argentina. She studied Fine Art at the University of Tucumán (Argentina) and the Accademia di Belle Arti in Venice, Italy. She has exhibited in Europe, Asia and the Americas and has shows later this year in Hong Kong, France and Argentina. Her fascination with the connections between music and colour led her to become the first visual artist in residence at Steinway & Sons, London, where she transformed a Steinway Model D concert grand piano into 'Dancing Soul'. She is represented by ArtMoorHouse - Moor House, 120 London Wall, London, http://www.artmoorhouse.com. For more information and images please visit www.mariainesaguirre.com.